PADI Five Start CDC, Blue Season Bali are starting there “best dive job” competition. Over the last year BSB have been running competition online to narrow down the field to just 8 people. To be in the last 8 the contestants and been given task form writing blogs, doing interview and raising money for Project Aware. The Winner will land themselves a FREE DM, IDC, MSDT and a one year contact at BSB. Hello, I’m Lorena Derežanin, born 28 years ago in Zagreb, capital of the small mediterranean country Croatia. I’m an experimental biologist and I work on environmental impact assessment studies at the Institute for Research and Development of Sustainable Ecosystems. I obtained my first diving license 5 years ago, but I dive more actively only for last three years. The greatest experience I had so far is diving with school of tuna fish babies which was absolutely spectacular! Lately I skip Muay Thai trainings to film short videos about diving, my hometown and some other cool stuff! I’m also very keen on hiking, snowboarding and getting better at acro Yoga. Currently, I’m preparing for my dive master training in Bali and can’t wait to get there! I’m an everyday hazard on my bike while I often daydream about adventures in the jungle and diving with deep sea monsters! I am currently in the Maldives for a six-month marine biology internship. My workplace is the small island resort Coco Bodu Hithi in North Malé atoll. I am spending almost every day in the water, either snorkeling or diving. My work is twofold: One part involves guest and associate activities; the other part is project work. What I really like about the way marine biology is practised here: Both parts blend into one. Bodu Hithi guests and associates are important participants and contributors of all the projects the resident marine biologist Chiara Fumagalli and I are conducting (Sea turtle and manta ray identification project, coral nursery project, shark watch protocol). What I love about my job: Being close to nature, experiencing adventures almost every day, learning, teaching, and the fact that working on my UW-photography skills is a fundamental part of it. I am most grateful for having a manta ray cleaning station nearby the island. From December to April, it is possible to snorkel with reef manta rays at the cleaning station. I madly fell in love with these animals! Only one word can describe how it feels to swim with these mighty, slow moving and absolute calm animals: Magical. What I have been up to is mostly just work. I have also been reviewing all my dive manuals and getting myself all hyped up for Bali. Not much else really, just trying to get everything in order to make the journey that could change my life. I can’t say it enough, thank you so much for giving me opportunity! Occupation : Research Assistant for the Marine Science Department of the University of Otago. I am in Koh Tao, Thailand for my time before I come to Bali doing an internship with a few other people learning to freedive with Blue Immersion. Today we just started our level one training! Current location : Czech republic. My name is Denisa Lhotova, I am 19 and I am from Czech republic. I am deeply in love with the water since my childhood. My first try of scuba diving changed my life. I was 10 years old and I knew what will be my dream of life – to be instructor of scuba diving. We have no good conditions for scuba diving, so I am travelling as much as I can to enjoy the beauty of underwater world. Few months ago, I graduated on the First Private Language Grammar School and then I get on the University of Hradec Kralove – study of Applied Informatics and Mathematics. When I saw the opportunity of lifetime – The Best Dive Job in the world, I ended up with everything and I did everything I could to get to the finals. I succeeded. Nowadays I’m leader of the clothes store called New Yorker to save some money and start a new life .. in Indonesia, Bali. Life that I love even more than now. Hey! The last two years I’ve spent studying medicine in Warsaw. After finishing the second year, I had many doubts about my medical career. I decided to take a year off to give myself a chance to change my perspective and see a bit more of the world. The last 4 months I’ve spent working in the Arctic as a northern lights guide and photographer. I loved it! Meeting people from all over the world under the aurora was very special. For now, I’m back on the road again. Currently in Turkey, in a week in India. No particular plan about where I gonna be during the next months, but what’s for sure is that eventually, in the end of May, I’ll be in Bali. Can’t wait! Occupation : Singer-songwriter at Alysia Lynn Music and Designer at Right Brain Creative Co. In preparation for the finals for the Best Dive in the World, I am using my last few months in Montreal to accomplish three things: save up, get in the best shape possible, and spend as much time as I can with my love ones. I juggle three jobs, going between serving the lunch rush at a pub, taking on freelance bartending shifts on the weekend, and working reception at a health club. This last job grants me a gym membership, which I use to participate in boot camp classes, spin classes, and yoga. My wish is to have a strong core, and to be aware of my body and my breathing. On Sundays I visit my father. I am fortunate to live with my mother, grandmother, brother, and dog, so I get to see them every day. Any spare time I have, I allot to my friends. 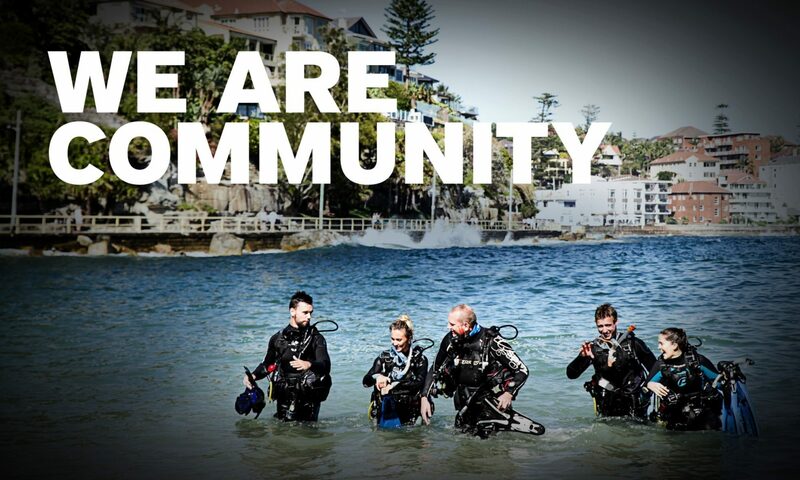 Previous PostPrevious LIVE NOW….. PADI Adventures in Diving & Rescue Diver Courses have gone DIGITAL!